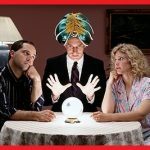 Take a look at the honest reviews and see why AskNow.com psychics should NOT be your choice for Psychic Readings! Learn More, Vote and Rate Yourself. They have 5 min free minutes one time deal for clients but you have to make a big money deposit t get it or pre authorized your credit card with them. Very Expensive for Clients and What we heard they pay very little to their psychics. OK folks. I hope my feedback here will help many people looking for answers FINALLY get the ANSWER THEY DESERVE. Ready? When you talk to a ‘psychic’, you are talking to someone who knows how to push certain buttons that will get you to open up to them and reveal information without realizing that you do. A psychic can focus on any or all of these 3 and wow you with some statement which is true for you. Wanna know why? Because, HELLO, we are not all snowflakes! We all have love, money and health issues. We are human. Now, some of you will say we are all unique and she told you something that no one else could have known. Let me tell you that biologists study humans and animals and can find near identical patterns in the way we think, live, eat, socialize and so on. We aren’t really all that different. ‘Psychics’ have heard thousands of such stories. Looking at one of the psychics on AskNow, I see she has read more than 12,000 times. Another has read more than 43,000 times! Do you think that after speaking to people that many times about the SAME issues, some patterns might emerge? Of course they will. Depending also how the person is reacting to their situation, patterns will emerge. So if you were dumped by your ex and behaved non-needy, started dating someone else, there’s a pretty good chance your ex is going to take notice and at some point, contact you. If they contact you, there’s a good chance they want to reconnect. If they don’t contact you, then it’s over. But the patterns will reveal themselves after giving so many readings. Likewise, if you are depressed about your breakup, acting needy and chasing your ex, there’s a good chance they will be annoyed and move on quickly. Not too hard to predict. Money? Well if you don’t have money issues, you would not be calling. Just like if you were happy in your relationship. Of course, there are exceptions, but again, even the exceptions will present patterns. Now, I know a barrage of Clarissa, Jozette, Selena and other psychic ambassadors will come out of the woodwork vouching for their psychic abilities and how their predictions are scary accurate. Even those comments I’ve seen here touting Savantace as the saviour will likely bring about some resistance to this post. LISTEN CAREFULLY PLEASE. Their predictions come to pass because they can make a somewhat educated guess based on what you say (without realizing you said it), how you react or behave, and the gazillions of human patterns they have already witnessed. And sorry to break this bit of extra news to you. If they’re wrong, it’s not because they didn’t connect well with you. It’s because they’re wrong. They guessed. They guessed wrongly. That’s it. The various comments here are proof in themselves. One person claiming Clarissa was right. Another claiming she is wrong. Then Selena. Then Jozette. Then Wren. And so on. Come on folks. Time to stop throwing your money and lives to these scheming frauds. If you need help, and everyone does need help from time to time, get help from people who care about you and don’t need $10 per minute which is really nothing short of FRAUD. $10 a minute are you kidding me? Listen, if you really feel you need help, and want to pay for it, there are professionals who can help you for much less. You are not a snowflake. 12,000 readings on one psychic website tells me that people have very similar patterns and many people keep repeating the patterns. A true professional would help you overcome your challenges by focusing on improving yourself, and letting go of anything which does not serve you. You are the architect of your own future. Right now. If all a psychic can do is tell you that you decide your own future and what she sees or predicts is a “path” right now, then you didn’t need the reading in the first place. Not at $10 a minute. You could easily just take out a notepad and ask yourselves what your possible paths are based on where you are right now, and what you can change about your situation if you take specific actions. Write those all down. That says it all. If you were so sure of the outcome yourself, you probably would not have contacted a psychic in the first place. So that element of doubt is what they begin to operate with. They know you’re unsure. They get paid to make a prediction (guess). If they’re right, you’ll come back, and now you’ll tell them everything – they no longer need to guess because they can combine all this information with their years of talking to 1000s of people. If they’re wrong, you won’t come back, and they keep the money you gave them. You don’t need psychics because there is no such thing as a psychic. She predicted I would reunite with my ex and she was so confident of it that she told me all I had to do was wait for the timeframe. The timeframe came and went, and while my ex did respond to me, it was a simple “please forgive me” and “take care”. As in, goodbye. Quite the contrary of the prediction that my ex and I are on a long life path together which is difficult to alter and so on. I’ve learned some hard lessons in life this past year, and I can say without doubt that there is no reason whatsoever to consult a psychic. After spending hundreds of dollars and reading with multiple so-called psychics on this site, I found that none of them were accurate at all. Some obviously just stammered along in order to rack up minutes with the caller without saying anything intelligible. There are also “readers” who just start blabbing about themselves to waste and extend your minutes. Some just sit there and breathe into the phone for a while to stall before saying anything which was then absurd. Their so-called guarantees are not as guaranteed as they lead you to believe either. If you have an issue with your reading and attempt to obtain a refund, there are stringent requirements to get a refund – not at all as they present themselves!!! Save your money and choose another site. - CONS: Don't waste your money!! !